As I write this, I still do not know how Brexit will work out and I own a global drone company based in London so of course it is on my mind. To sum it up, from a global point of view the possible impact of a no-deal Brexit, even a hard-Brexit I hope is not likely. In the long-term though just having Brexit will be unfortunate if it hurt the UK’s access to UAV technology given London’s financial, industrial and media capacity, it could reduce growth in the global industry especially in the EU. With the internet, I am sure that many people who read this article will know how Brexit worked out, so far. As I wrote this, I have no idea what really is going to happen and this article has more questions than answers. Because of the uncertainty, you’ll see in the research that drones are being deployed more and more by security services around the EU. First of all, these countries all throughout Europe are going to have to suddenly police their borders more with the UK more and these are a lot of countries, Belgium, Holland, France, Spain and Ireland. It makes sense that Police forces are going to deploy a lot of drones around these borders. So, I think you will see a lot of demand in industry expertise going up in the short-term, especially around security, surveillance, reconnaissance missions and policing. This is I guess one could argue would be a good outcome for growth in this part of the UAV industry, people looking to sell drone contracts to the public sector and they are going to need training as well. This could actually lead to a kind of boom for awhile like I have seen first hand in Ukraine’s innovative drone market. You are going to have a very, very good brief period for security and training, but the problem is that once you have Brexit essentially that will break up the EU investment in the technology market in the UK, the EU invests a lot of money in development. The big question is whether Europe will continue to do all the business management and money management here in the UK, post-Brexit. So, the point is yes there’s a factory with 250 employees say in Poland doing the manufacturing work in the factories, but they’re doing most of their banking in the UK and there are 20 times more of them than the UK could ever support. It’s not good for the innovation and development market that the UK breaks itself off from the EU. So, with banks now having such uncertainty, will Britain lose out not only on the manufacturing but also the financial side of Brexit. Will future drone projects in the EU countries not want to do banking in London and will go to either Frankfurt, New York or Zurich or into the Asian markets. Anyimal at the University of Switzerland Zurich, Shows the kind of innovation that open EU migration enables. Almost every student I met was from a different EU country who all spoke excellent english. Does the UK want to disrupt it’s access to this kind of economic energy. As far as parts, the UK will probably always be an importer of electronic products and already abides by WTO rules, but it will be more difficult to do UAV projects in London with all kinds of restrictions like movement, trade, money, supply and bids. For a drone operator, what will often probably be a big concern will be getting parts for repairs. 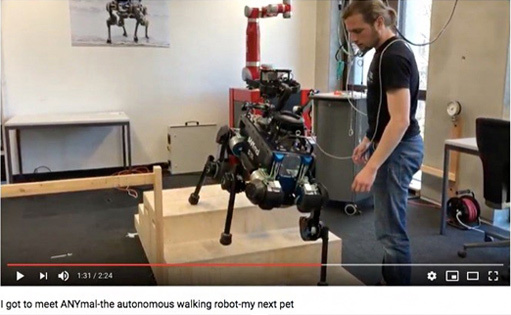 Will it take longer to have your DJI or Parrot fixed post-Brexit? What happens when you want to purchase a new drone on Amazon, will it take longer to get to the UK? 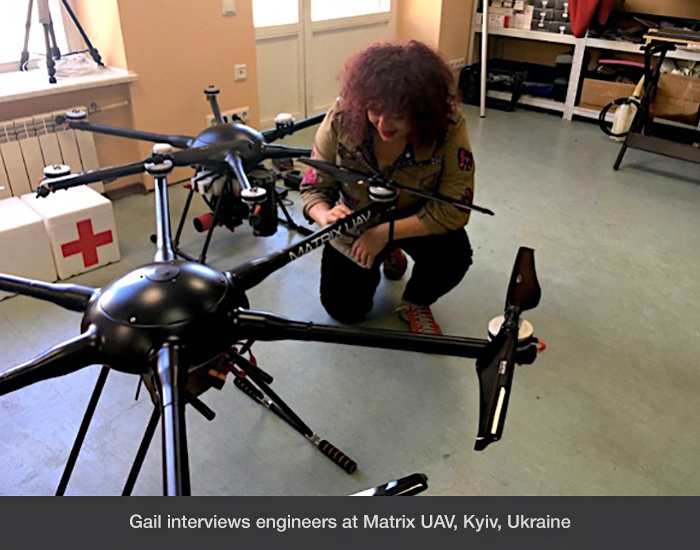 In Ukraine I visited the very dynamic Matrix UAV. This drone was at the time being used to fly blood to the front—line. I interviewed several UAV companies in Ukraine and they all struggle with limited access to EU supplies to build their drones and get high quality motors. In fact, it is illegal for EU countries to ship Drone motors to them. I saw first hand that they could not get parts shipped from Germany and the UK, so I ask myself why would the UK want to disrupt it’s own access to the EU market like Ukraine has now. Look, the Ukrainians tell me they want more access to parts from the EU, so why would the UK want to be more like the Ukraine, where they cannot get many parts for their UAV engineers? Will shipping my drone overnight so I can fly out the next day to EU be affected? Will I be even be able to fly to EU the next day from Heathrow or Gatwick to work? These are all questions I am thinking about. I am not writing article to say I have any answers but instead, I have a lot of questions no one in the industry so far can answer when I ask them and that uncertainty no thriving businesses like, that is one thing we can all agree on, all business likes certainty and stability. One of my biggest concerns is the impact Brexit may have on travel as I stated above. For example, I have thoughts about Eurostar and the tunnel, will that be choked just going from King’s Cross to Gare De Nord which I do all the time. I was doing it monthly when I covered The “Jungle” in Calais with ease, will that all change? it could be harder to move around as a drone journalist as this is completely unchartered territory for us in the UK. What can we expect to happen to our licenses? Another thing, I am CAA certified and FAA licensed UAV pilot. There isn’t anything yet that is an “EU License for UAV pilots”, but there may be one coming. Will my CAA license still be good within the EU? Can we really answer that really right now? there may have to be another treaty and we do not know how long this will take. Just because there isn’t one now for the EU, doesn’t mean there won’t be one in the future. One of the things I can say with droning you actually get made very aware of borders carrying 2 licenses and 2-3 drones and dozens of batteries. I have droned in 21 countries, I am well-aware of the arbitrary changes that happen now in remote unregulated places, it can be terrifying. I have very good experience about moving cross-border and it is better to be inside the EU and move about then outside like traveling with my fleet in the Middle east, Asia, South East Asia and Africa where I am stopped, need a certification and risk confiscation at each border. Yes, critics of the EU say it puts the UK in a kind of United Stated of Europe super country. Why is that so terrible when it comes to travel. In the US it is great the I can go from California with my drone and to Connecticut with no border, that is what makes it such a big market place. In the US people wonder why any state would want to succeed from the Union of Europe, the American’s had that during the days of Lincoln and it didn’t work out to well. The thing is this is happening now in the UK but it is not Lincoln but the current UK government and that scares business and that will ultimately hurt innovative technology as companies start taking more conservative approaches to business. I am convinced that if the UK was to pull out of the EU, we can expect plenty of new red tape when importing drone parts (as well as other parts for technology) We can all brace for double-licensing instances, as you may need a UK license and an EU license and still need to furnish documents at border control points every time you need to move around the region with your drones. A ‘No deal’ or leaving the EU is the last thing a drone pilot or a drone parts business would want at this point. The situation is not any smoother for Non-UK EU citizens residing in the UK as they will all have to grapple with higher costs for parts. As drone pilots, we can only cross fingers and hope for a positive outcome on March 29th 2019 as a ‘No deal’ outcome would really complicate our work and make it even more costly. UAV Batteries are the Kodachrome of my Time – I know I was a Kodachrome girl! ALL IMAGES ON THIS WEBSITE ARE THE COPYRIGHTED PROPERTY OF THEIR RESPECTIVE OWNERS AND MAY NOT BE USED WITHOUT EXPRESS PERMISSION FROM THE OWNER/PHOTOGRAPHER GAIL ORENSTEIN. Inequality in Technology Funding Drone-Forward or Drone-Back?